THE OECD WILL recommend new measures to crack down on “Double Irish”-style loopholes which allow multinational companies to legally shift their profits offshore to avoid paying tax. In a report to be released later today, the Paris-based body is scheduled to back international moves to cut down on corporate tax evasion. The issue is particularly relevant to tech businesses which have global operations without a strong footprint in many of the countries where they make their money. 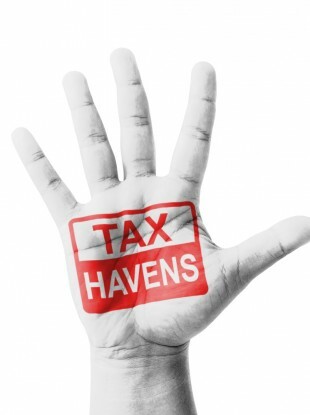 The OECD’s investigation into profit shifting was launched to give governments ways to fight corporate tax schemes which allowed profits to “disappear” offshore. It has previously flagged making companies resident for tax purposes in any country where they had a “significant digital presence”, such as a big customer base. The topic will also be high on the agenda at this weekend’s G20 meeting, where finance ministers are anticipated to talk about the issue after a previous agreement to share information and make international tax dealings more open. Multinational companies such as Google, Ikea and Apple have all been accused of dodging tax in various countries by shifting income overseas. One controversial scheme is the so-called “Double Irish with a Dutch Sandwich”, which involves big businesses exploiting variations in different countries’ tax laws to maximise their bottom lines. The loopholes describe legal methods companies use to minimise their tax bills by playing on quirks in the tax systems of Ireland and other countries. Multinationals like Google can avoid paying tax by shifting income between two subsidiaries – one with its business address in Ireland and another in a tax haven like Bermuda. Companies based in Ireland already enjoy the country’s low corporate tax rate of 12.5%, while Bermuda has no corporate tax at all. Irish laws only demand companies pay local tax if its main business address is in the country, although money shifted between two companies that come under the banner of one parent are still supposed to be taxable. That’s where the Dutch Sandwich comes in. Ireland doesn’t tax some transfers within the EU and the Netherlands doesn’t tax outbound royalties so multinationals can use a string of holding companies to shift their profits from Ireland to the Netherlands and then on to Bermuda effectively tax free. READ: How do Irish companies legally avoid paying billions in corporate tax? The US, where many major tech companies are born and do the lion’s share of their business, has been a vocal critic of tax loopholes which allow businesses to shift their profits offshore and avoid its revenue authorities. Other nations, including the UK and Australia, have complained about companies like Google making billions in advertising revenue within the countries but paying a pittance in local tax. But the Irish government has always defended its tax practices and claimed a global approach was the only way to deal with international tax avoidance. Email “'Double Irish' tax loophole in the firing line”. Feedback on “'Double Irish' tax loophole in the firing line”.